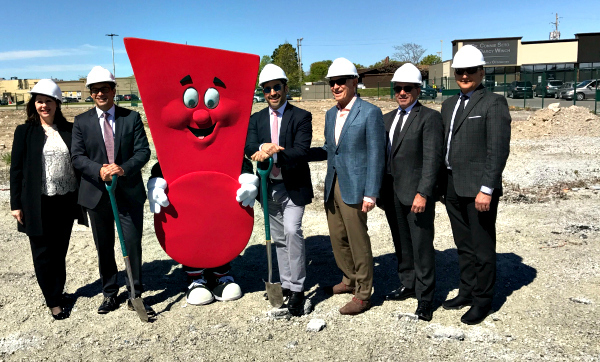 SARNIA, Ontario – Tepperman’s Furniture has broken ground on a new free standing 40,000 square foot store that expected to open sometime early in 2018, to coincide with regional chain’s 25th anniversary of coming to this border city in southwestern Ontario. Andrew Tepperman, third generation president of the family-owned furniture, mattress and major appliance retailer, told Home Goods Online the move was prompted by a number of factors. The lease on its current location in the Lambton Mall, where it has been located for the past 20 years, is set to expire. And to support the larger Sarnia store, Tepperman’s is also expanding its London distribution centre. The current store covers 33,000 square feet. “This new location will provide space for a Bargain Annex, a larger warehouse (important when we introduce e-commerce) and enhanced customer pick-up,” Tepperman said. Sarnia will also boast some of the features introduced when the company opened its new Kitchener store last summer, including the café and the kids’ play are and a free electric car charging station. “It will use the same model as we did in Kitchener but on a smaller scale,” Tepperman said. 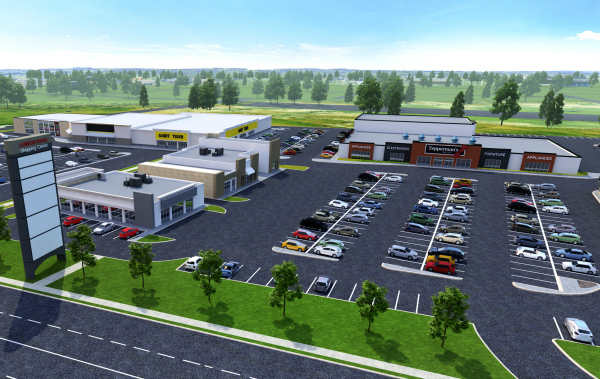 The new store will be built in the new outdoor London Road Shopping Plaza, a new $10 million facility being developed by Lucror Investments, a local firm. Noah Tepperman, the company’s secretary- treasurer (and brother to Andrew) told the Sarnia This Week the new location will provide the retailer will greater flexibility in terms of merchandising its product assortment. The existing Lambton Mall store will remain open until the new location is operational. In addition to Sarnia, Tepperman’s currently operates stores in four other southwestern Ontario cities including Windsor, Chatham, London and Kitchener.